With its assertive looks and agile drive, the XE is instantly recognizable as a Jaguar vehicle. The pinnacle Jaguar sedan. A perfect combination of technology, sporting vehicle dynamics and opulent luxury. New E-PACE is the first compact SUV from Jaguar. It’s a unique combination of looks, agility and dynamic driving. Introducing the first all-electric performance SUV from Jaguar. The Jaguar Approved Certified Pre-Owned program is known for its comprehensive attention to detail, quality and customer satisfaction. All of which allows you to get into the car of your dreams for less than you may have thought possible. 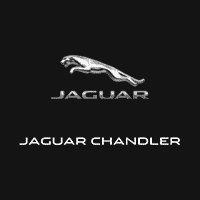 Jaguar Chandler, is now open in Chandler, Arizona and is excited to serve you! We’ll make sure you’re completely satisfied with every step of the way through the car buying and ownership process. Gilbert, Mesa, Tempe, Phoenix and Queen Creek drivers will always be greeted by friendly, smiling faces and a team that listens to all your needs. Whether you choose to purchase a brand-new Jaguar or looking to trade in your own, Jaguar Chandler will be there to help. Our financing department will offer clear terms and many different loan options that can be tailored to your budget and desired payment schedule. Compared to other lending services, you will also find us to be faster and devoid of any hassles.